In memoria del Cap. HENRY GEORGE WESTMORLAND WOOD, D S O, 1st/7th Bn., Worcestershire Regiment, figlio di Thomas Percival e Mary Wood di South Norwood (Londra), ucciso in combattimento il 3 agosto del 1918. 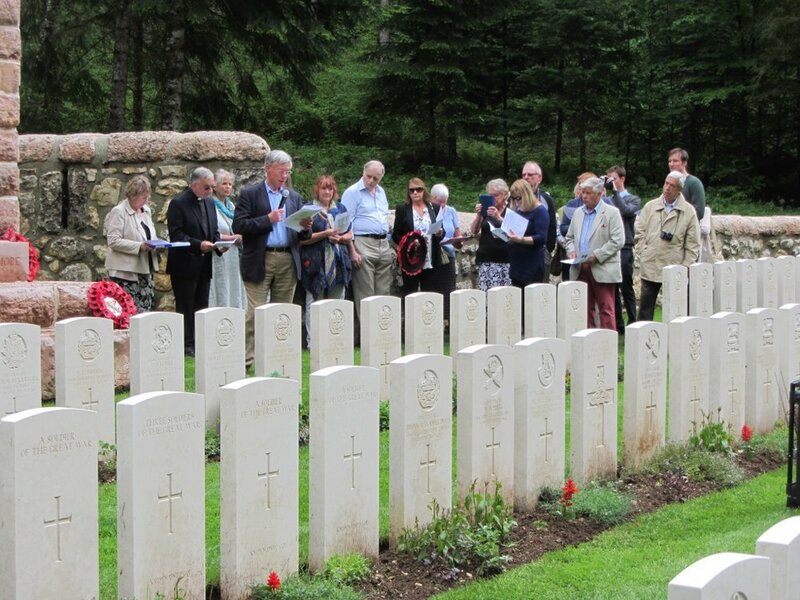 Il 23 maggio 2018, a quasi cent’anni dalla “Battaglia del Solstizio” che vide i soldati Britannici duramente impegnati in combattimento anche nel settore sud dell’Altopiano di Asiago, una delegazione d’oltre Manica guidata dal Dr. Tim Connery si è recata in visita alle tombe del Cimitero Militare del Boscon per tenere una piccola cerimonia in memoria dei Caduti conclusa da una breve funzione religiosa officiata dal Pastore Anglicano. In particolare è stato ricordato il Capitano HENRY GEORGE WESTMORLAND WOOD, D S O, 1st/7th Bn., Worcestershire Regiment, figlio di Thomas Percival e Mary Wood di South Norwood (Londra), ucciso in combattimento il 3 agosto del 1918. Alla cerimonia, insieme alla delegazione britannica, composta dai familiari del Cap. Wood, erano presenti autorità locali, i tecnici della CWGC (Commonwealth War Graves Commission) e soci della ASC Fronte Sud Altopiano Sette Comuni. Un incontro molto sentito esattamente a un secolo di distanza da quegli eventi che videro i reparti Britannici combattere in Altopiano, una particolare fase storica alla quale è stata dedicata anche l’iniziativa annuale della ASC Fronte Sud Altopiano Sette Comuni con una conferenza di Andrea Vollman e Francesco Brazzale, ricercatori storici specializzati sulle vicende riguardanti i soldati Alleati e autori di diverse note pubblicazioni in materia. Spontaneo per tutti il ricordo di Vera Brittain scrittrice, pacifista e giornalista britannica. Prima di diventare famosa, durante la Grande Guerra fu però infermiera volontaria nella V.A.D. (Voluntary Aid Detachment) e conobbe molto da vicino il dramma del conflitto come tanti giovani della "war generation". Perse infatti al fronte sia il fidanzato Roland Leighton che l’adorato fratello Edward, ucciso da un cecchino sull’Altopiano di Asiago vicino a Cesuna e sepolto nel cimitero di Granezza. Le loro lettere daranno spunto ad una delle sue prime opere “Letters from a Lost Generation” oltre a "Testament of Youth". Dopo la guerra ritroverà prima la tomba del fidanzato nel cimitero inglese di Lovencourt in Francia e infine quella del fratello Edward in Altopiano, sulla quale volle venissero sparse le proprie ceneri dopo la morte. Di lui disse: “... per quasi 50 anni gran parte del mio cuore è rimasto in quel cimitero del paese italiano". Sua figlia ha onorato il suo desiderio nel settembre del 1970 e si è recata nuovamente in visita alla tomba dello zio alla fine di maggio del 2018, a quasi un secolo dalla sua uccisione in combattimento. Henry was the fifth son (two died in infancy) and eighth child of Thomas Percival Wood and Mary Westmorland Wood. He was born in Enfield, Middlesex. The family moved to Woodside, South Norwood in 1892. Along with his three brothers, he was educated at Dulwich College, in the Preparatory School from 1897 and the College from 1901 – 1909. He was in the Gymnastics VI in 1907, and 1908 and was Captain in 1909. He also played for the 2nd XV and the 2nd XI. (Photo of Gymnastics Team over). From Dulwich he followed his older brother ‘Uncle Tip’ (1882 – 1915), to Peterhouse College, Cambridge, where he gained his B.A. in 1912. He rowed in the Peterhouse boat in both the Lent and the May bumps on 1911 – (position 4 in the boat). He was also a keen member of the Cambridge University Officer’s Training Corps, where he held a commission as 2nd Lieutenant on the unattached list. On leaving Peterhouse in 1912, he moved to Stourbridge to work for Thomas Webb and Sons at the Dennis Glass Works. He spent 1913 – 1914 in Germany studying – (presumably glass making). On his return to Stourbridge, he applied to join The Worcestershire Regiment Territorial Force and was commissioned as Second Lieutenant in 7th Battalion Worcestershire Regiment on 11th April 1914. At the outbreak of the war, he was in camp with his Battalion at Minehead, they were mobilised for training and with the rest of his Battalion, volunteered for overseas service. The winter of 1914 – 1915 was spent at ‘War Stations’ in Malden, Essex. 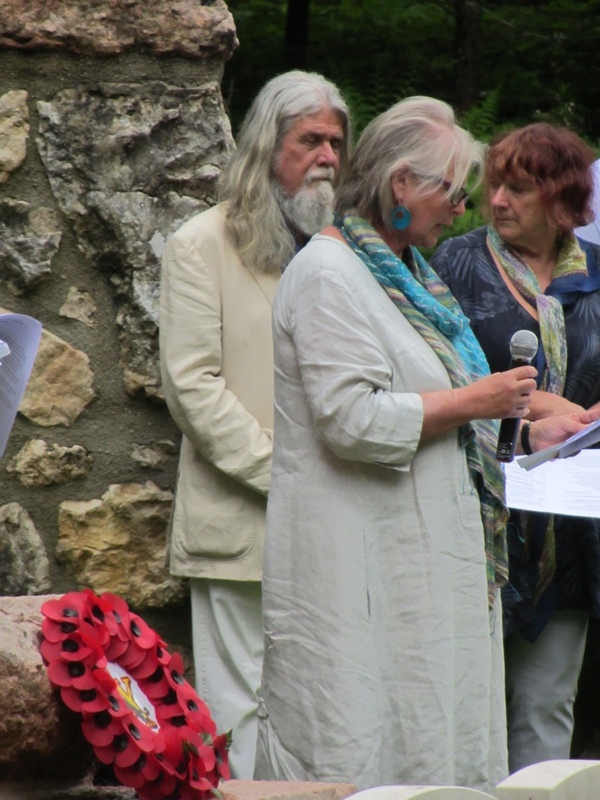 The Battalion left Folkestone aboard S.S. Onward on 31st March 1915 and arrived in Boulogne after dark. They journeyed, partly by train, but mainly on foot arriving in Bailleul on 5th April. They marched to Armentières on 10th April, and were initiated into trench warfare by the troops already in the front line. 1/7thWorcestershires went into the trenches, as a complete Unit on 17th April, near Armentières. Their first casualty was one man killed on 19th April. Uncle Harry wrote to his sister May Stubbs (our Grandmother) on 23rd April 1915, when they had been relieved and were on four day’s rest in the support trenches behind the front line (see over). He said “ …..We only suffered one casualty in our Cy. when last in the trenches, one man killed. It is an amusing show on the whole, and one soon gets over the first nervousness. You have to look after yourself by day, and it is sheer bad luck if you are hit at night.” During May, June and July the Battalion were in trenches around Ploegsteert Wood – there were constant ‘raids, diversions and demonstrations’ on the enemy lines, to try to prevent any movement of German reserves. Four days were spent in trenches at Maroc: “an unhealthy spot, in which no lights or cooking were allowed.” (Regimental War Diary). The Battalion moved to bivouacs, north of the River Somme at the end of July, in pouring rain. 11th August 1915: Captain GMC Davidge, Adjutant of the 1/7th Battalion was promoted Major and Second Lieutenant HGW Wood became Adjutant. (Regimental Diary). The Battalion were in the ‘Hebuterne sector’ (North of Albert) – and although the enemy were ‘heavily bombarded’ there was no general attack in their sector. (One wonders when and how he heard that Uncle Tip was missing). 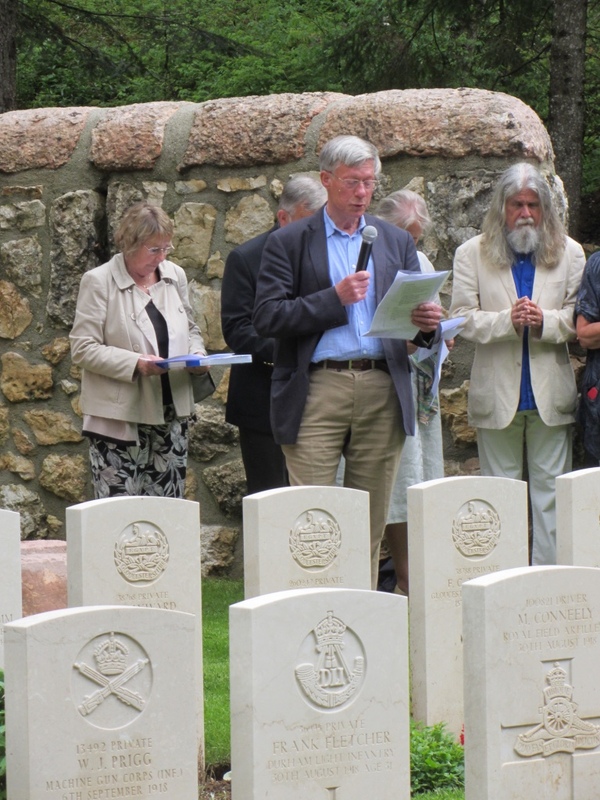 2nd May 1916: the Battalion marched to Beauval for 10 days training. During this time the Brigade Sports Meeting was held – and the cup was won by 1/7th Worcestershire. 14th May 1916: Lieutenant E.R Wallace became A/Adjutant. See document dated 14th May from War Office confirming this. 15th May 1916: Battalion marched through Couin to Coigneux for new front line duty. 17th /18th May 1916: 500 men of all ranks of 1/7th Worcestershire dug an entirely new piece of front line, with support and communication trenches. About 50,000 cubic feet was dug between 9.30 pm and 2.00 am. The Battalion were congratulated for outstanding work and achievement. 24th – 30th May 1916: In front line trenches. At sometime during May 1916, Uncle Harry was wounded, but he did not leave his post. St. Riquier, the Battalion marched through Doulllens and Authie to camp at Coigneux, covering 32 miles in 23 hours “but not one man fell out”. 28th June 1916: In preparation for the great attack of Ancre, 1/7th carried out an unsuccessful raid, between La Boiselle and Serre – they were defeated by wire which had not been sufficiently damaged by bombardment. 1st July 1916: the Battalion based at Coigneux were in reserve, they marched forward to south west of Mailly Maillet, and remained in that position, expecting the order to advance. 2nd July 1916: Marched, in the dark expecting to attack at dawn, but were then ordered to turn and arrived back at their bivouacs at 4.30 am. 3rd – 8th July 1916: remained inactive in front line at Beaumont Hamel, this was described as a ‘holding attack rather than an advance attack’. 8th – 12th July 1916: Held front line trenches before Serre. “These trenches long remained in the memories of the officers and men as their worst experience of the horrors of the field of a great battle”. 15th July1916, the Battalion had moved (by motor bus) to reach the front line in the ruined village of Ovillers, “in shell holes and broken trenches, the enemy kept up a desperate struggle, and 1/7th were subjected to a fierce bombing attack” (Regimental diary). 16th July 1916: from dawn a systematic advance began, troops gained ground among the debris of Ovillers and by late afternoon the remnant of the enemy force, two officers and 124 troops surrendered. 17th – 19th July 1916: the advance continued beyond Ovillers the ground gained was heavily bombarded but the 1/7th held it. The incessant fighting of these days had cost the Battalion, two officers and 36 men killed, 120 NCOs and men wounded – over 150 in all. 21st July 1916: relieved and went to support trenches in reserve. 23rd – 27th July 1916: front line around Ovillers / Pozières. 30th July – 11th August 1916: rest and training at Domart. 12th August 1916: in reserve trenches at Forceville. 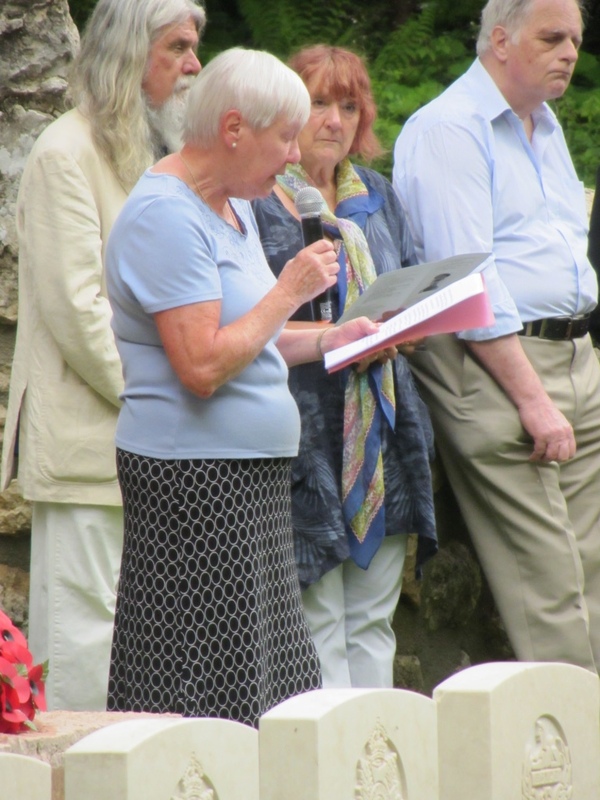 16th August 1916: in reserve trenches at Bouzincourt / Senlis. 20th / 21st August 1916: Fought all night in small parties in shell holes – at dawn attacked, reached and cleared the enemy trenches, but were raked by machine guns. 22nd August 1916: 1/7th relieved from front line as they were exhausted. 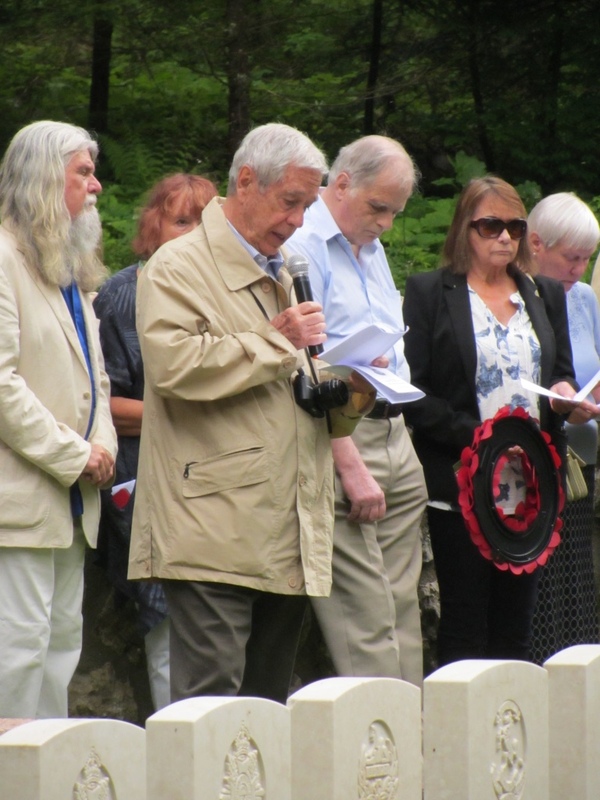 27th August – 5th September 1916: in front line trenches facing Beaumont-Hamel. September 1916; Remained in reserve and training. 7th October 1916: Front line at Fonquevillers and Souastre. 26th October 1916: 1/7th detached from Brigade and sent to support exhausted troops in the devastated area near Contalmaison. 26th October – 9th November 1916:Battalion “laboured carrying stores and rations forward from the high ground above Bazentin down the slopes to the firing line”. 10th – 18th November 1916: resting at Contalmaison. 18th – 20th November 1916:front line at Contalmaison. 20th – 22nd November 191: in reserve at Eaucourt l’Abbé. 1st December 1916: front line at Butte de Warleacourt – held in frost and deep mud. 4th December 1916: raid on enemy trenches – a sharp fight; when their bombs were exhausted they retired. 5 wounded, no other losses. 5th – 11th December 1916: rested in support trenches. 12-14th December 1916: front line trench. 16th December 1916: to Albert for rest and training. Lt. HGW Wood to be seconded for duty as 4th Class Agent, Intelligence Corps. 15th Dec. 1916. No information on where he spent the next year. Presumably he was in the Intelligence Corps. “We served so long together in the 8th CHA and so happily that I grew very fond of him indeed and feel I have lost an old friend and not merely the chance acquaintance of a few months”. Walter H. Samuel (later 2nd Viscount Beardsley) was instrumental in setting up SOE in WW2 – giving our family yet another link. 18th December 1917: Mentioned in Despatches for service in France. 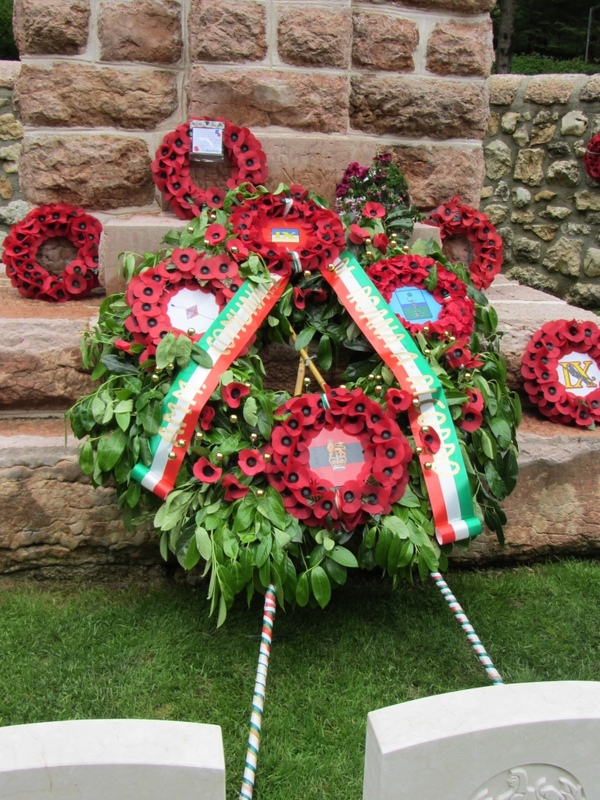 1/7th Worcestershire Regiment moved to Italy at the end of November 1917. Capt. HGW Wood Intelligence Officer 8th Coy. has applied to return to his Battn.1/7th Worcestershire in Italy. Understand Bn. have asked for him. Should he be sent. Mil. Sec. 12th February 1918: British troops (Three Divisions: 7th ,23rd and 48th) were ordered to take over the defensive line in the mountains. Moved to Torreglia. 3rd March 1918: 48th Division ordered to take over Montello section – moved into reserve position. Another change of plan – British to move north to Asiago Plateau. 4th March 1918: Colonel Tomkinson returned from sick leave to command. The Battalion marched by easy stages westward through Volpago, Pessa, San Ambroglio. Palazzo Bressani and Arsengo. 18th March 1918: reached Campo Martino on the banks of the River Brenta. General Lord Cavan took over the Italian Command from General Plumer. 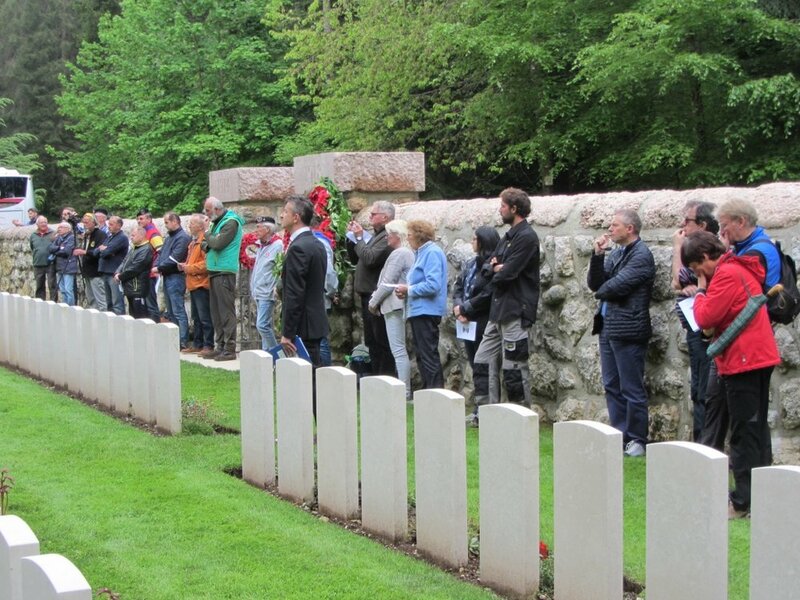 3rd April 1918: the Battalion marched through Vicenza – a great reception from locals. Camped at Arzignano where 1/7th won the final of the Divisional Football Tournament (The Fanshawe Cup). 21st April 1918: Climbed 4000 ft. up the mountain slopes of Granezza. Difficulty in supplies of food and ammunition because of great distances up the mountain. Initially cold and sleet, but the weather improved from 1st May. 8th – 9th May - left front of Brigade. 3rd June 1918: Marched down the mountain slopes into reserve at Monte Serona. The Battalion was suffering from “Mountain fever” (a species of ‘flu). “As a result, no Battalion was at more than half strength”. Preparations for a projected attack were being made, with ammunition and shells moved into position. There were rumours that the enemy was planning an offensive, but these were not taken very seriously. 15th June 1918: Before dawn the enemy launched an attack in force, with an intense bombardment of every British battery position and every crossroads. The great ammunition ‘dump’ at the Handley Cross crossroads was hit and the explosions continued for several hours, paralysing all movement and communication from front to rear. 1/7th were hurriedly moved forward from the support positions, going up the mountain to Carriola, the Divisional HQ. The situation was serious: the enemy had attacked in great strength almost wiping out the two front battalions. They had fallen back to the line of the Cesuna Switch and were holding on, but unable to close the gap between the Cesuna Switch and the Lemerle Switch. A counter attack was ordered and 1/7th moved forward to support this, but the heavy artillery bombardment slowed their progress and it was evening before they reached Cesuna. The position was reconnoitered. The ground in front and all around was a dense pine forest, in which the enemy were known to be in great force. Fresh orders for an attack by 1/7th, supported by two companies of 1/6th Gloucesters were issued. By 7.15 pm all was ready. The fight which followed in that first battle of British troops against Austrians was remarkable for the absence of artillery fire. The density of the woods and the vagueness of available information prevented either side from employing guns to support their infantry. Rifles and machine guns alone were used. About 7.30 pm the advance began. Firing rapidly, the companies pushed forward, driving the enemy back. The Austrians brought machine guns into action. Then there followed a fire fight of the most intense nature. “Fortunately the enemy fire was mostly high and badly directed, and our casualties were comparatively light”. But “the musketry of the Worcestershire battalion was low and accurate.” Through the night the battle continued, at 11.00 pm the firing in the forest was as heavy as ever. At 4.30 am a counter attack by supporting battalions was launched. But the fierce night battle had done its work and the Austrians were driven back in rout through the wood. The 1/7th suffered heavy casualties, but the loss inflicted on the enemy was certainly three times as great. In addition the Battalion had captured 112 unwounded prisoners, six machine guns and two flame throwers. It was for his actions in this battle that Uncle Harry was awarded ‘an immediate DSO’. The troops had good reason to be proud of themselves, they had, though they did not know this at the time, effectively prevented any hope of another Austrian success. Further south, the Italians, after a long struggle had similarly repulsed the attack. The Regimental history contains a photo (see over) of a picture by Gilbert Holiday of the Battle in the Woods. It is a dark black and white photo, so not easy to distinguish. Sadly, the Regiment’s Museum told us that the original picture has disappeared, so we are unable to see it in colour now. 23rd – 30th June 1918: the Battalion moved back into reserve. The marches were made by night to avoid the intense heat of the days. 17th July 1918: following a period of rest and training the Battalion moved, marching at night, back to the front line. 19th July 1918: Battalion made the ‘toilsome ascent’ up the mountainside, ten minutes march was followed by five minutes rest, until Granezza was reached. 28th July 1918: to support line. To hasten the growing demoralisation of the enemy it was decided to raid the Austrian lines as often and as fiercely as possible. On the night of 2nd /3rd August 1918 1/8th Worcestershire Battalion opened this new phase by a sudden raid against Gaiga South, where an entrenched railway cutting was held in strength by the enemy. It was during this raid that Uncle Harry, then in support was killed by enemy shell fire, along with his runner. Wood is dead. 8th Worcestershire were doing a show this morning. We were ordered to take cover. Woody and his HQ and platoon were at battle HQ. All became quiet when one or two howitzers began to fall. One shell fell at the mouth of the dug-out just as Woody and 3 Sergeants were coming out to see if all was clear and quiet. His runner and himself were killed halfway up the steps. It was the last place on earth you would have thought it possible for a shell to fall. It is calamity I think and I know how you will feel. Poor Woody lived only a few moments – he was much knocked about. When he heard the shell coming he must have turned round, but too late. He mumbled something but was hardly conscious a moment. “I have known him very well all the war. He was of amazing energy, courage and ability and cannot be replaced. He was buried today. His company will be sorry beyond all words. Only so lately as June 15th he did so brilliantly that he got an immediate DSO. “Isn’t it perfectly bloody about poor old Wood. It always seems to be those one can spare least who go”. He was buried in a clearing in the woods by the Senior Chaplain, the funeral attended by fellow officers and also by Private Watkins, who had been his servant for two years. He wrote: “I helped to get him out of the dug-out and also helped to carry him to his grave in a nice little British cemetery behind the lines”. 6th January1919: ‘Mentioned in Despatches’ for a second time. Henry George Westmorland Wood DSO is buried in Boscon British Cemetery, Asiago Plateau, Italy.